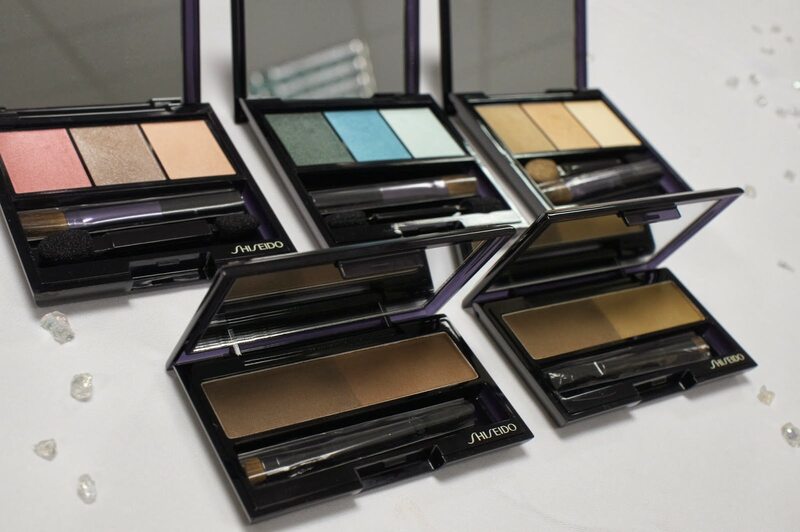 A while ago, I was invited to a lovely meeting organized by Shiseido. You’ve probably noticed, I am huge fan of the brand and I was totally up for it when they announced that we were about to learn the history and whole background of the brand and have the chance to test out all the products they offer. The main focus was on the new Ibuki line which promises ready-for-anything-skin – skin without roughness, breakouts, dryness and flaking. The products protect you against UV rays, dryness, pollution and stress. They offer some incredible products for dry/normal skin and a targeted regimen for oily skin. 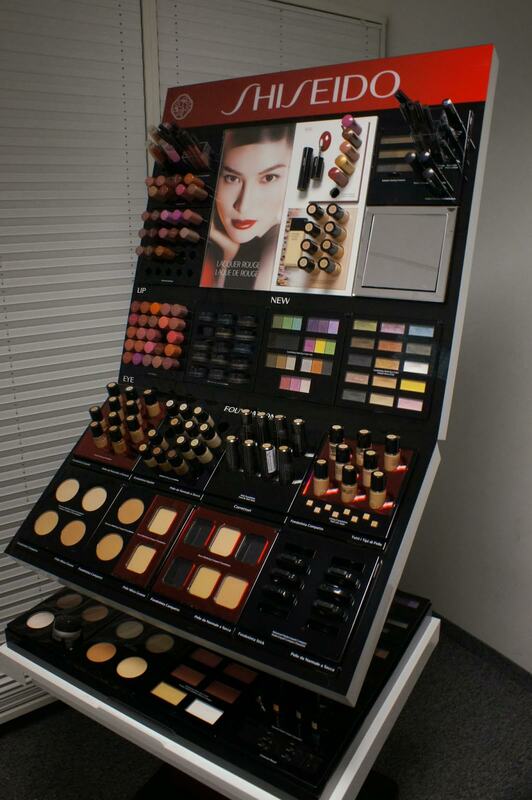 What they say at Shiseido? Our lifestyles are inextricably connected to our well-being. And since our lives and environments are as unique as ourselves, and our skin, Ibuki’s scientifically driven formulas and natural ingredients help target your concerns. 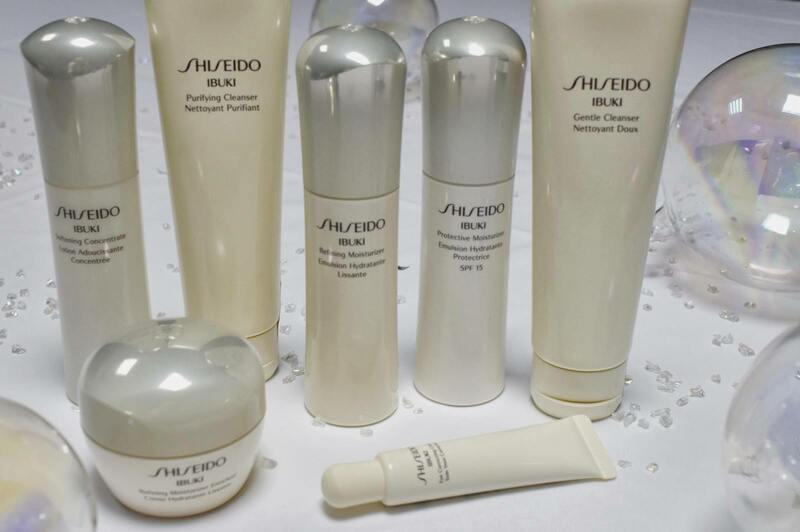 Ibuki builds skin’s inner resistance for consistently beautiful skin now and for years to come. 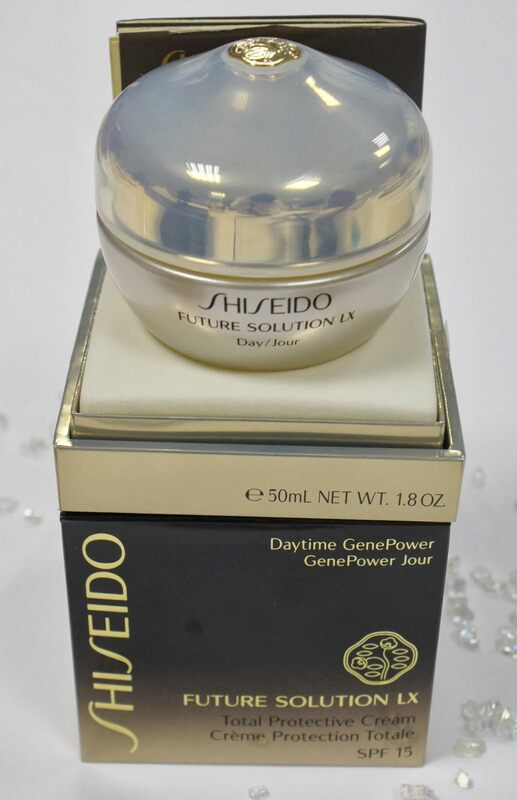 Shiseido’s exclusive technology super-hydrates cells and enhances the skin’s resistance to harsh elements. The result is smooth, ready-for-anything skin with a healthy, more radiant glow. 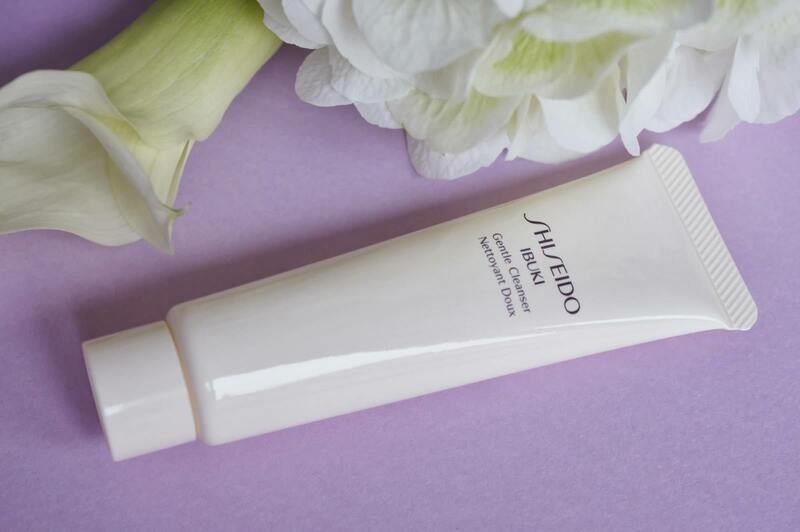 After four weeks of use, 96% of women said “my skin is in the best condition ever”. Ibuki’s targeted regimen for dry to normal skin is formulated to refresh and invigorate while bolstering skin’s resistance to moisture-depleting elements. Two products that I’ve got the chance to test are the Gentle Cleanser and Refining Moisturizer Enriched. Ibuki Gentle Cleanser is an extra gentle cleanser that lathers quickly into a rich foam to remove impurities and harmful excess sebum without stripping away skin’s essential moisture. Skin feels refreshed and silky-smooth to the touch. 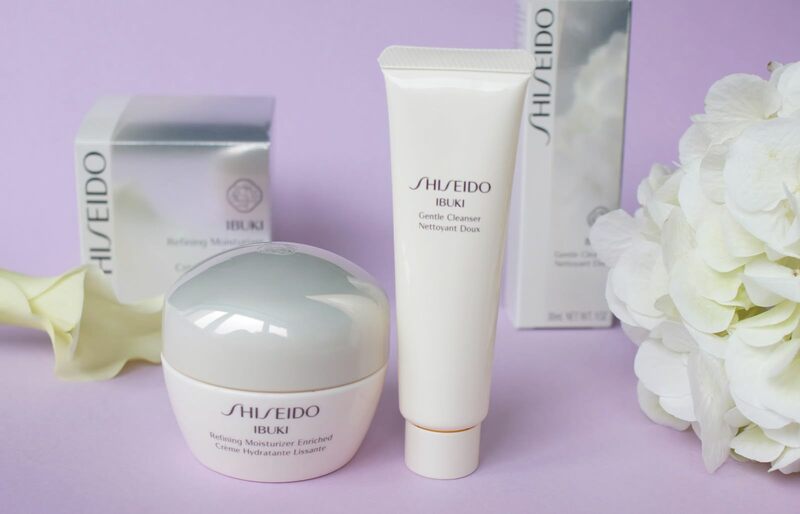 Shiseido Ibuki Refining Moisturizer Enriched has a multi-action formula that intensively corrects the appearance of unevenness such as visible pores, breakouts/ blemish marks and skin roughness. It renews the skin’s surface, revealing an incredibly smooth, uniform texture, while keeping skin hydrated all day long. First of all, I would like to point out that I had an amazing time testing the products at their facilities, and I really liked the products I got the chance to test and review at home. 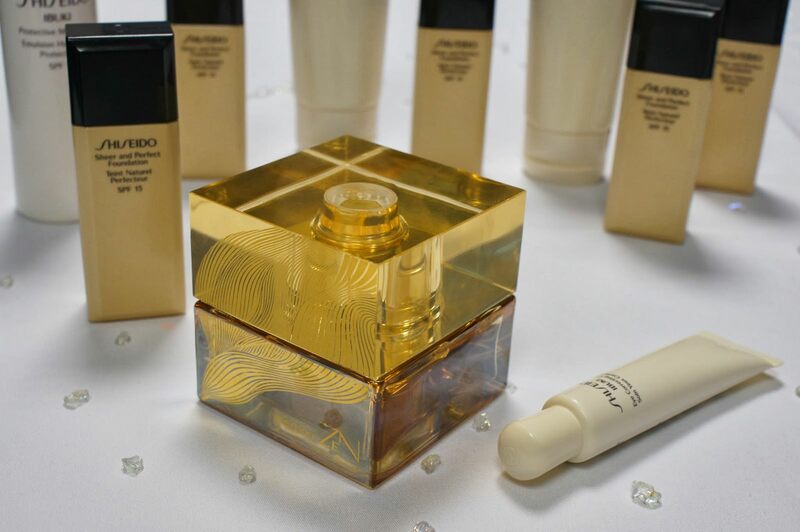 The whole Shiseido Ibuki line looks beyond amazing (have you seen those amazing elegant bottles?). While testing the products at their place I was hoping to get the chance to test the Gentle Cleanser at home. Well my wish came true and I was really happy. At the time, I just got the PhilipsVisaPure brush and I was wondering how these two products will get along. I love that the Ibuki Gentle Cleanser foams well (if you are not so much of a foam-lover this product isn’t the one for you). It cleanses my skin thoroughly and it removes makeup without leaving a residue. If we look down at the ingredients list, we may find some potentially irritating ingredients such as potassium hydroxide, alcohol and fragrance. Therefore, it’s not a product you should leave on too long (!). I must say that it doesn’t irritate my skin or eyes at all. I wouldn’t say it’s super gentle, but I like it a lot (my mom says it’s one of the best she ever tried). It smells divine and luxurious. My skin feels soft and clean, ready for further care (it contains trehalose which is great for dry skin). 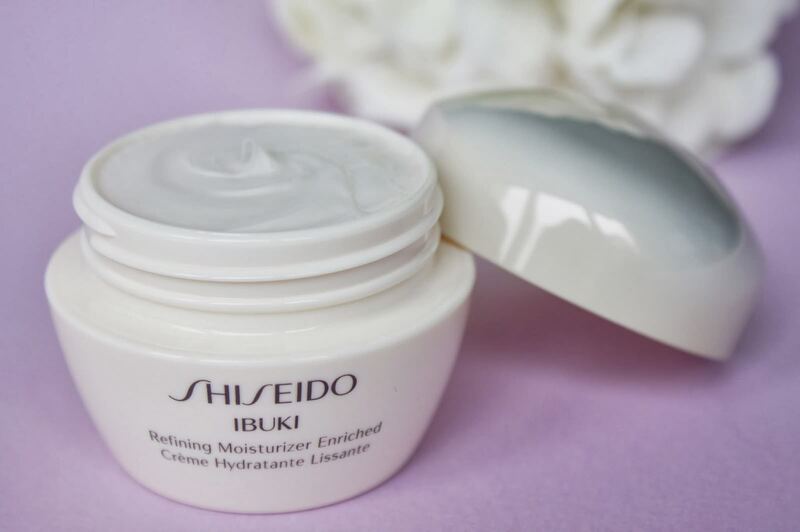 Ibuki Refining Moisturizer Enriched is the second of the Ibuki regimen (for dry/normal skin) I’ve tried. It has a lightweight creamy texture and it hydrates without leaving a greasy feeling. Refining Moisturizer Enriched comes in an elegant 50ml jar (I would prefer if it didn’t come in jar packaging; I’ve become totally addicted to the pumps). The ingredients are pretty solid – I was especially happy to see the trehalose, which is great for dry skin. It does contain fragrance, so it might cause some irritation if you have extremely sensitive skin. The combination of these two Ibuki products (Gentle Cleanser and Refining Moisturizer Enriched) works great for my skin type (normal to dry). The Gentle Cleanser will be perfect for those who prefer a lot of foam while washing their face (plus it works great with Philips VisaPure), while the Refining Moisturizer Enriched is great for those who are looking for multiaction formula that keeps the skin hydrated all day long. Cleanser je top! Jaz sem bila tako zelo navdušena nad njim, pa ful se ga malo porabi…edino cena je res uf! Cena je sicer malo višja, ampak glede na količino, ki se ga porabi, bi rekla, da je kar ugoden. Je pa res, da moraš na enkrat dati toliko denarja (pri cenejših imaš pa časovno razporejeno). Vsekakor vreden nakupa! Me veseli, da je tudi tebe prepričal. When will you publish the names of winners DW watch?! Thanks. Hi! The winner was already contacted. However, some nice giveaways are coming soon!